Great news gamers and every other gaming fans out there! 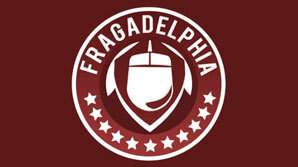 N3rd St. Gamers is bringing you the much awaited Fragadelphia 4 tournament! Can’t wait for it after the Fragadelphia 3 games? Well don’t miss out on anything. N3rd St. Gamers says that, this fourth event is going to be a 5v5 Counter Strike Global Offensive tournament and it will be hosted by N3rd Gamers Jarv.us and run by Stephen “sasquatch” Csikos in Philadelphia. The stream is going to be offline. Read more for more information. – Veto will select the maps. 16. Make You Say Late!